The Würth Group’s history is inextricably linked with the entrepreneur Prof. Dr. h. c. mult. Reinhold Würth, today’s Chairman of the Supervisory Board of the Würth Group's Family Trusts. Building up a family-owned business with over 400 companies in more than 80 countries is an exemplary success story in the international business world: In 1945, Adolf Würth GmbH & Co. KG, the parent company of the Würth Group, was founded by Adolf Würth in Germany. At the age of 14, Reinhold Würth entered his father’s screw wholesale business as an apprentice in 1949. When Adolf Würth died at the age of 45 in 1954, Reinhold Würth took over the business at the age of 19. 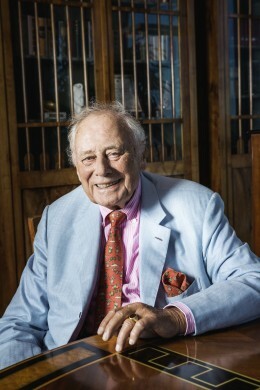 Starting in postwar Germany, Reinhold Würth has turned the two-man business into a worldwide operating group of trading companies over the years. In 2009, the Würth Group celebrated a very special anniversary together with him: 60 years of service to the company. With the 75th birthday of Reinhold Würth and the celebration of the 65th anniversary of Adolf Würth GmbH & Co. KG, another two anniversaries were celebrated in 2010. During his professional career Prof. Dr. h. c. mult. Reinhold Würth has shown great social and cultural commitment. For many years, the dedicated collector of modern and contemporary art has been supporting projects in the field of arts and culture, science and research as well as training and education. In order to combine this involvement under one roof and to ensure a continuation of the efforts, Reinhold Würth, together with his wife Carmen, founded the Würth Foundation in 1987. From 1999 to 2003, he also headed the Interdisciplinary Institute of Entrepreneurship at the University of Karlsruhe (Technical College). The Würth Collection, which was built up by Reinhold Würth, currently consists of around 18,000 works of art. It is exhibited in four museums throughout Germany and in ten associated galleries at the international Würth companies.